This is a port of the Mini vMac emulator for the Android platform. It supports almost any Android device, starting from android version 1.5. It is based on a port by Jesús A. Álvarez who also made the iPhone port of Mini vMac. Alternatively, You can download the apk file and open it on your device. Or grab this barcode with your camera. The ROM file must be named vMac.ROM and placed in minivmac directory in your SD Card. Disk images should have .img or .dsk extensions, and be located in minivmac directory in your SD Card for them to show up in the disk chooser. 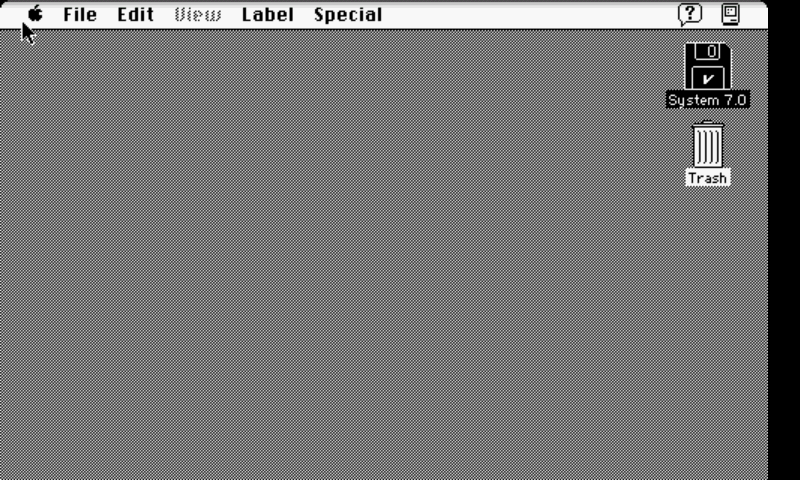 To insert disk images, click the Menu button and choose Insert Disk and the list of disks will appear. Click the Menu button and choose Keyboard to show or hide the keyboard. 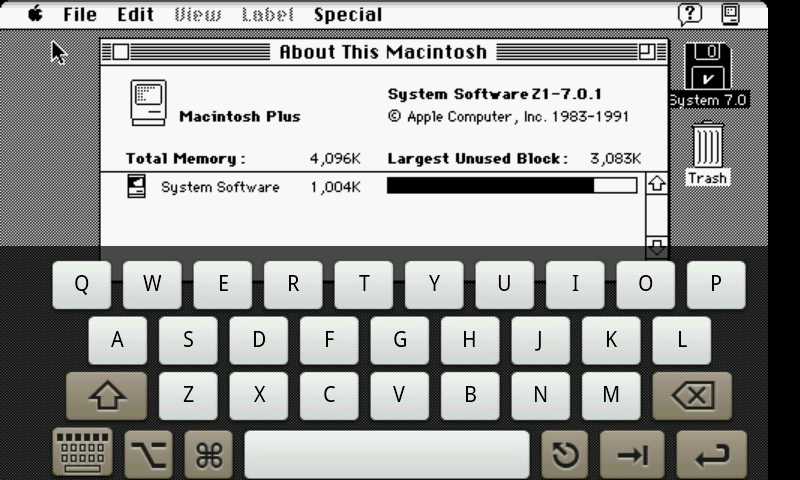 The emulated keyboard features all the keys on the Mac Plus keyboard, except the keypad. The Command, Option and Shift keys are sticky. If your device have a physical keyboard you can use it as well. Use the screen as a touchscreen, where tapping anything sends a mouse click. You can toggle between full screen (if you have a device with low resolution the Mac screen will be scaled down to fit your screen) or full size (the Mac screen is shown at its real size) by clicking the Select button. In full size mode, you can scroll by using the arrows. 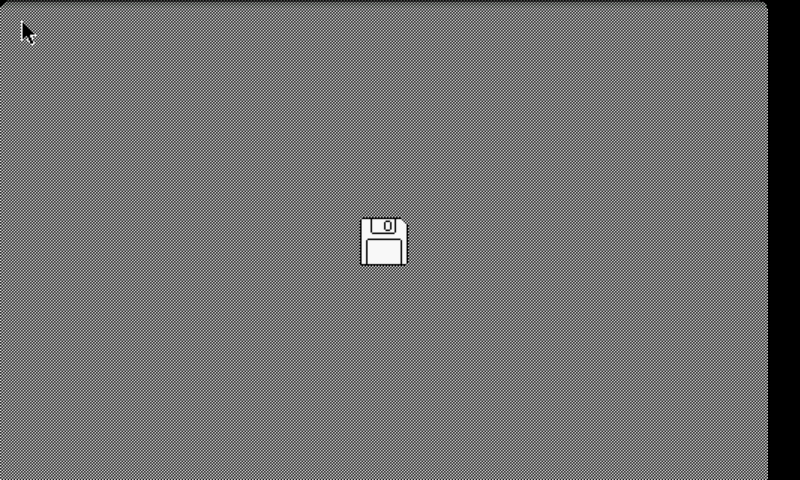 If you press the home button while the emulated Mac has disks inserted, Mini vMac will pause but stay open. To quit Mini vMac properly, eject all disks before pressing home. Note that when Mini vMac is suspended, it still uses memory and could be forced to quit if the memory is low. The emulator is now based on version 3.2.3 of Mini vMac. Added the ability to add new disk images. Fixed pointer issue on scaled screens. Mini vMac for Android is based on Mini vMac 3.2.3 by Paul C. Pratt. Mini vMac for Android is written and built using Android SDK, Android NDK and Eclipse. You can download this project source in either zip or tar formats.